The flower by Chris Pintozzi. 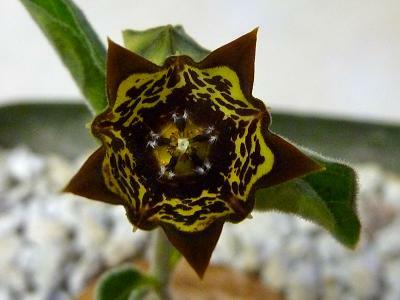 This member of the Asclepiadaceae* family was describe by Nicholas Edward Brown in 1908. It is found in Congo, Malawi, Tanzania, Zambia and Zimbabwe, growing n a well drained soil with some water and lots of sun. 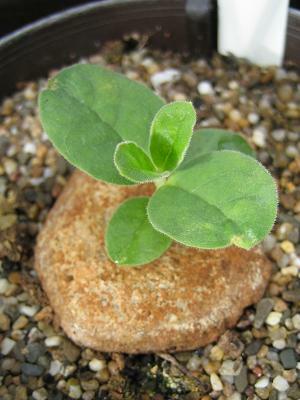 The caudex can grow to eight centimetres, the branches to twelve centimetres length. The large flowers are yellow ght and dark brown.